My recent attempt to hunt for dumplings on the Upper West Side of Manhattan turned out to be kind of a fail until I hit Yasha Ramen. My first stop, La Salle Dumpling Room, was packed with families in town for the Columbia University graduation and there was an hour wait. My next attempt to score dumplings was at Sun Chan, which turned out to be closed because of a gas main problem which had shut down the entire block. Then I tried Uncle Luoyang, which I have been meaning to try for a while, but I guess I delayed to long because it has gone out of business. After walking about a mile and a half I found Yasha Ramen, a small ramen joint just south of Columbia University. 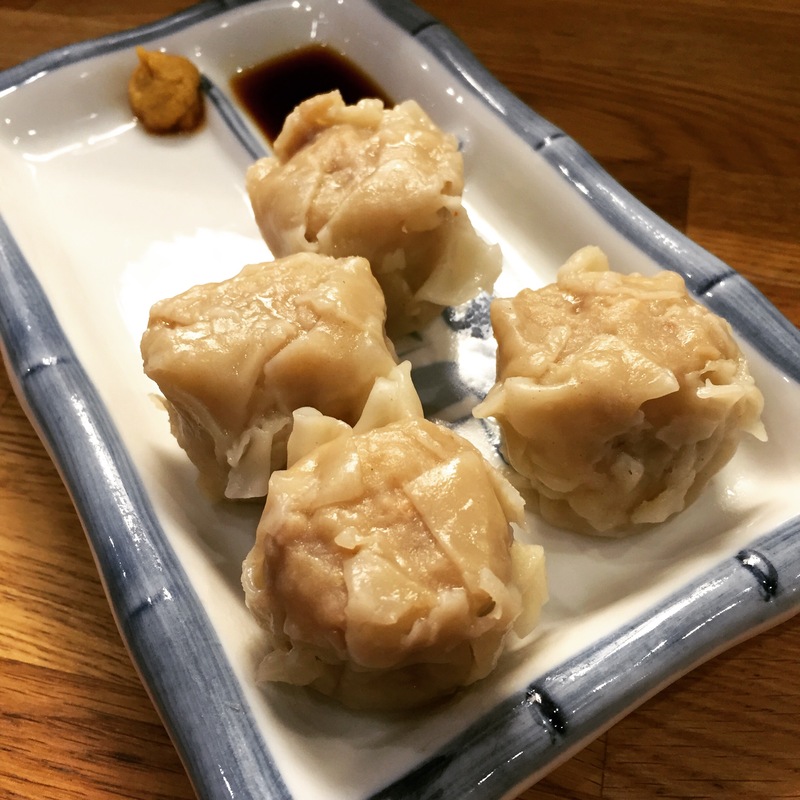 The Dumplings: Yasha servers takoyaki, shrimp shumai and pork shumai and a dumpling bowl which consists of either fried shrimp or pork shumai in a bowl of rice with cabbage, kale and spicy mayo. The takoyaki were small but had a good octopus to fried batter ratio. Unfortunately the takoyaki were relatively unadorned and light on mayo and bonito flakes. They could have used a bit more dressing, but they were tasty and did come on a really cool plate. The steamed pork shumai filling had pieces of water chestnut mixed in, which gave them a nice crunch texture. I use a similar recipe for my shrimp dumplings. I have been trying to reduce my salt intake lately so maybe my palette is a little off, but I found the pork filling to be very salty. The Dipping Sauce: The plate the shumai were served on had a built in sauce bowl filled with a mix of soy sauce and vinegar. It came with a little dab of mustard to mix in the dipping sauce, which was a really good addition to the shumai. 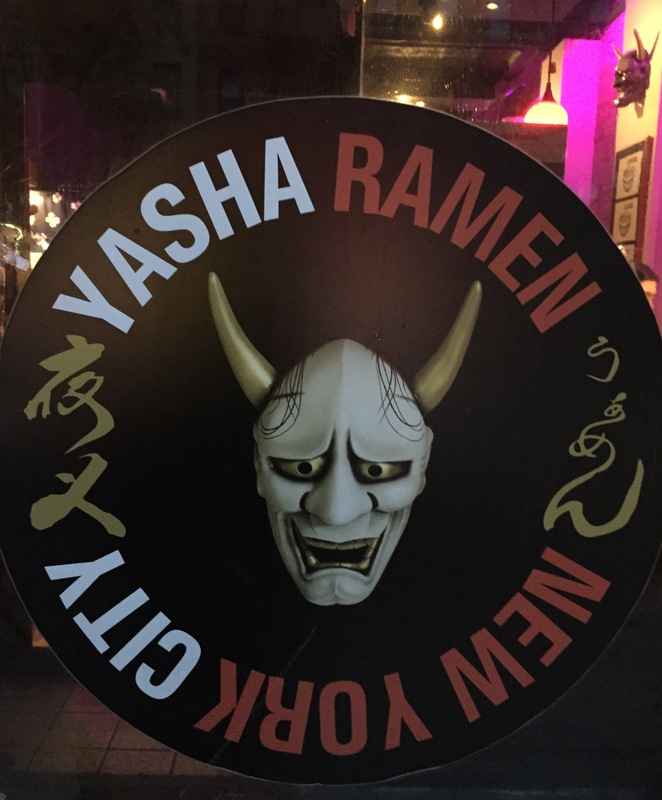 The Location: Yasha Ramen is in the Manhattan Valley neighborhood between 106th and 107th Streets. There are a couple of good bars on the block, which is handy because they do not have a liquor license. 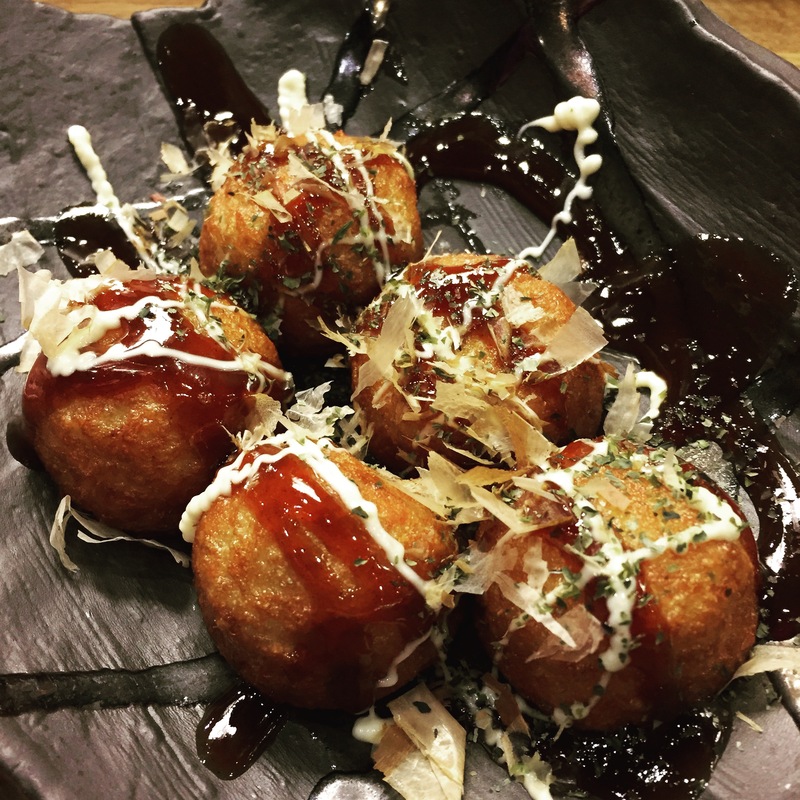 This entry was posted in Japanese, New York City, Shumai, Takoyaki. Bookmark the permalink.